Ships tomorrow if you order in the next 19 hours 54 minutes. Krill oil is unique in that it offers a naturally occurring complex of omega-3 and omega- 6 fatty acids, phospholipids and astaxanthin. This phospholipid-fatty acid molecule closely resembles that of human brain phospholipids, providing potential support for cognitive function The essential fatty acids in krill oil may also mediate hormone, prostaglandin, and neurotransmitter function to support menstruating women. A double blind, randomized clinical trial suggested that krill oil promoted physical and emotional well being during the menstrual cycles of women volunteers. Krill oil also provides an ideal essential fatty acid balance for healthy cardiovascular and platelet function. A prospective phase II randomized, double blind, clinical trial suggested that krill oil supports healthy lipid, triglyceride and glucose metabolism. 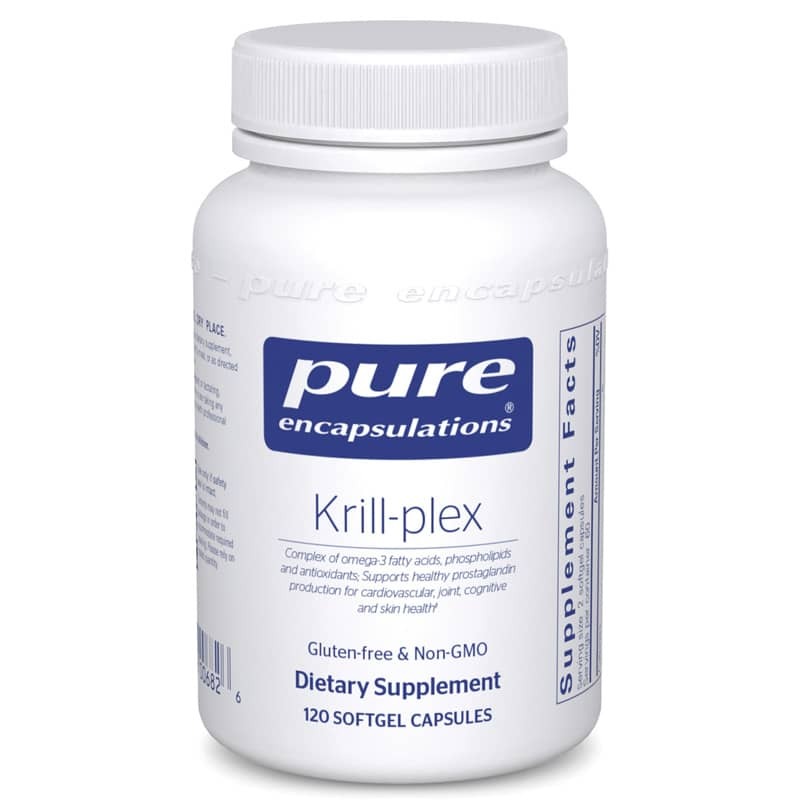 A prospective controlled pilot clinical trial reported that krill oil supplementation helped promote joint flexibility and comfort. In addition, a randomized, controlled pre-clinical trial investigated the effects of krill oil on skin health and reported that it supports the body's natural defenses against the sun and environment. Krill oil naturally contains a highly bioavailable essential fatty acid ¬phospholipid complex and antioxidants, providing optimal support for menstrual comfort, cardiovascular function and cognitive, joint and skin health. Other Ingredients: gelatin capsule (gelatin, glycerin, water, sorbitol, ethyl vanillin). Adults: Take 2 softgels daily with breakfast for one month and one softgel thereafter or as directed by a health care professional. If you are pregnant or nursing, consult with a healthcare professional before use. People with seafood allergy, coagulopathy or taking anticoagulants or other medications should notify their physician and be tested before taking dietary supplements. Keep out of the reach of children.